I’m an old-timer. I come from a background of 20 years in marketing, and gained my Associate Marketing Degree from the Chartered Institute of Marketing almost 15 years ago. I cut my teeth on the Four Ps of Marketing – Product, Price, Promotion and Place – and used that quadrant for clients and employers alike. But, as useful as the Four Ps have been in my own growth, times change and marketers need to change with them. This goes for both performance marketers (where I’d place myself) and brand marketers. As digital and mobile become ever more pervasive in our lives as consumers, so marketers need to tap into that and meet the demands of today’s connected consumer. This is where the adoption of the Four Ms of Influence Marketing needs to be embraced as the natural evolution of the Four Ps, particularly when it comes to lead generation and understanding the customer life cycle via social media. 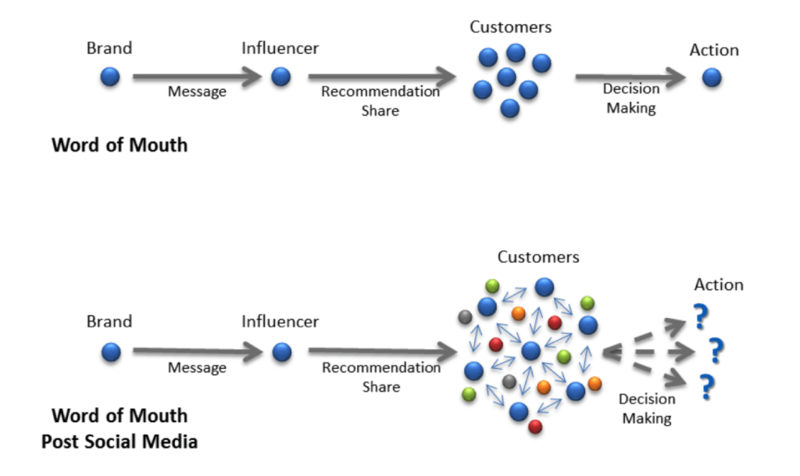 Why the Need for the Four Ms of Influence Marketing? For all intents and purposes, any marketing via today’s multiple digital channels is influence marketing. 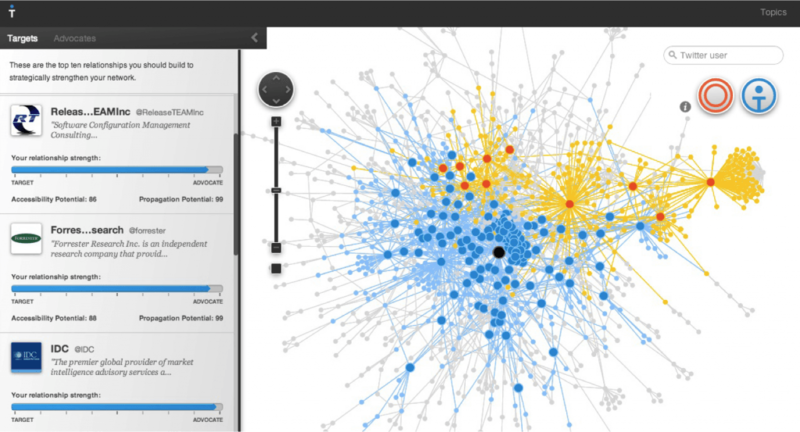 The problem is, influence today is defined by social scoring platforms like Kred and PeerIndex. While these platforms offer a decent starting point for who could potentially influence your customers to move along the purchase life cycle from awareness to intent to purchase, there have been too few success stories shared to show this is the case. Instead, brands are left with impressive amplification metrics, but no real ROI. This is because these platforms are still concentrating on the influencer at the heart of the marketing circle, versus the real influencer – the customer. After all, it’s the customer that influences how successful – or not – a brand is. If we can identify who they are; where they are in the purchase life cycle; who influences their decisions; and what factors come into play that could either encourage or disrupt these decisions, we can be much more effective at actually moving the customer along the cycle to the decision of making a purchase. It’s essentially flipping influence marketing on its head and presenting a more effective methodology where the Four Ms of Influence Marketing comes into play. As I mentioned at the start of the post, I’m an old-timer. It’s helped me realize that standalone tactics rarely work, and that old methods and newer ones can complement each other perfectly when woven together properly. When you place the customer at the heart of your influence marketing efforts, you can build personas and profiles based on where they are in the purchase life cycle. Are they in the Research stage and looking for information? Perhaps they’re in the Awareness stage and need validation from peers and colleagues? Each stage presents the need for a different tactic and outreach, but by identifying where there are in that path, you can use natural language processing to identify who they’re talking to at each stage. This allows you to “make influencers”, by connecting with the people who will move the customer into the next stage of the purchase decision. You’re no longer hoping for mass amplification by today’s scored influencers to make an impact – you’re getting straight to the customer via the right person at the right time. Once you’ve identified who the “new influencer” is for your target customer, you need to move into the Manage stage. This can take many routes, but for this post, we’ll concentrate on the flow of information to the customer. Did it cause an increased negative or positive view of our product? Did it move the customer along to the next stage of the purchase life cycle? Did it take the customer off the purchase path altogether? Did it disrupt or enhance our brand message? These are just some of the high level actions our influencer could cause, and we can map each one to how we approach him or her with our messaging, and that takes us into the next stage. If you ask anyone about social monitoring today, they’ll probably reply with the name of a technology, and looking for positive or negative mentions of a brand. While monitoring an influence marketing campaign follows the same principles, we need to go deeper to enjoy true success. Positive and negative sentiment still play an important role, but now we’re monitoring the relationship between a small core group of people – target customer and their immediate circle of influencer(s) based on current need – and the dynamics their conversations have on that target customer. The information gathered from this type of monitoring is crucial in making our outreach a success. Who is the influencer we should be connecting with? Using a smartphone purchase as an example, while three types of customer may be interested in the same phone, they have very different needs. What colleagues say and how the phone syncs to the IT department will influence a business user; a couple will be driven by family plans; and teens would be driven by cool factor and apps. Monitoring our customers’ conversation for key needs identifies which influencer we “make” from the first M.
What factors are coming into play? We may have an outstanding product, and we’ve highlighted the right influencer, but now there are external factors we need to monitor that could still disrupt our message encouraging the customer to make the purchase. Can they financially afford it? Are they emotionally invested in our competitor? Do they even truly need it? Are they tied to a contract? Is peer pressure a factor? Understanding these external factors will help us pinpoint where our message wasn’t to blame and how we can stay in the loop for when all the factors are aligned and the customer is ready to purchase. These are just two areas to monitor, but the list is much longer depending on brand goals and how well we’ve prepared the ground through the Make and Manage part of the Four Ms.
I’m a performance marketer, which means pretty much everything is mapped back to a result. While I’ll write off some metrics, the important ones and their subsets will always be tracked, measured, and acted upon to improve future outreach and campaigns. When it comes to influence marketing, the ability to measure who’s responsible for what is key to truly showing ROI as well as the value of proper influence marketing when integrated as a core part of your business objectives. Who drove the desired action the most? What message permeated the most? What value did the influencer bring compared to financial outlay? How many messages did certain personas need to move to the next stage? How was the campaign perceived? How was our product or service improved as a result of feedback? Did it add to our bottom line while improving our top line? How effective was our targeting? What was the sum effect on our brand and our competitors? Again, these are just some of the questions to ask when dissecting the campaign. Based on goals, this list will be as simple or as in-depth as you wish it to be – but whatever the depth of the debrief, make sure there is at least one happening. This post, while reasonably long, just touches the surface of the Four Ms and where they fit in the influence marketing vertical. They’re part of a much bigger picture – one where today’s influence model has been flipped completely on its head, and a new methodology presented, where real business results can be enjoyed and tied back to influence as a true lead generation and customer acquisition solution. 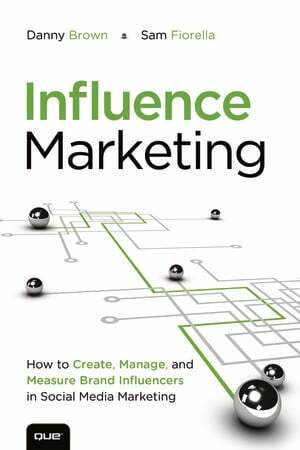 Influence marketing as defined today needs to change. Public scores and amplified messages may present one way to look at influence; but without action being taken that goes beyond blog posts and social shares, and into what drives a customer to make a purchase, is it really influence or simply a hit and hope tactic? I know where my money, and that of my clients, is. How about you? Danny Brown is Chief Technologist at ArCompany, helping clients turn social media intelligence into business results. He’s the co-author of Influence Marketing, described as “the book that will change the way we do business today.” He’s an award-winning marketer whose delivered results for organizations like Microsoft Canada, BlackBerry, FedEx, Ford Canada and LG Electronics, and his blog is recognized as the #1 marketing blog in the world by HubSpot.